 Blog - ONRAD, Inc. - ONRAD, Inc.
06 Apr Blog – ONRAD, Inc. Interesting article with a more positive tone. Today’s radiology practice model requires strategy and change for improved hospital relationships. Radiology practices are currently in a climate of increasing competition that requires self-analysis and more in-depth views of market trends that can be compared to their own business models. Whether it is the emerging relationship between teleradiology groups and hospitals, competitive hospital contract bids, or the independent formation of radiology groups, radiology practices are realizing that the time for “doing what has always been done” is over. Radiology market trends suggest an increase in competition and the need for hospitals to focus on nontraditional options. With increasing regulation, practices are finding inconsistent application of new policies and funding problems that are leading to a tightening cash flow. The result is a movement of imaging to larger facilities, and away from the traditional radiology practice models. The big question is: is there a case for reengineering the radiology practice model? Radiology practices must analyze several factors when considering the question, for example, whether or not practice size matters, the corporate infrastructure of the hospital, the relationship with the hospital, and the practice’s attitude toward the hospital. These changing factors have not necessarily created the need for a new model, but instead for a paradigm shift. There are several hospital/radiology practice models that exist, among those being exclusive contracts, no contracts, imaging facilities, nonexclusive contracts, medical and administrative contracts, and hospital-employed radiologists. The greatest complexities, however, exist between the radiology practice and the traditional business model, as shown in the chart. There are both strengths and weaknesses associated with a group practice (PC, PLLC, etc) structure. While owners are intuitively connected to their service offering, they are also fatally democratic and sometimes thought to offer a lethargic and inconsistent service approach. The quality and excellence that a practice conveys are often consistent, but due to multiple voices, the message can be confused. Although there is an ownership of the quality delivered, many practices are comprised of employees who do not deliver the standard quality but are also hard to remove. With a clinically driven model, the hospital/client often sees this “dirty laundry.” Many practice leaders want the control over their business while encouraging professional innovation; however, they find it hard to manage colleagues to drive consistent quality and messaging. When considering the infrastructure of the group, practices must find ways to effectively support the hospital relationship, through improved governance, communication, relationship management, and control of the deliverables. None of this can be achieved without motivation toward a “broader” goal. Either way, practice leaders are charged with navigating these waters and becoming a service-centered business entity. Due to compelling arguments made by teleradiology groups, national radiology groups, and employed physicians, the practice structure is swiftly being removed as a top of mind option once considered by hospitals. This could be due to the varying wants and needs of the hospital versus those of the radiology practice. The hospital seeks quality and consistency in its customer service with no complaints, paired with an ability to uphold performance standards with increased coverage hours. These standards are difficult to align with radiologists’ wants, which include a desire for steady incomes and certain vacation levels, while also maintaining improved exclusivity clauses, having more technical ownership, and offering nighttime coverage with reduced weekend coverage. Due to the discerning needs and wants of both parties, there is often a relationship disconnect where common goals are not shared. A smart solution for recognizing and bridging the gap is often achieved by hospital and practice leadership putting forth their best efforts to maintain the relationship and discuss areas of common ground. Patient service, hospital viability, strategic direction, technology, leadership in the radiology department, the surrounding community: these are all areas hospitals and radiology practice leaders can collaborate on and filter into their shared goals. While radiologists understand it is ideal to work “on the same team” with the hospital to service patients, the issue of contracting often stifles the relationship and requires conflict resolution, which forces both parties to find common ground. Often the hospital/radiologist relationship provides no insulation in contracting, and there is a transparency on goals and issues. All of these issues set the table for the relationship as it moves forward. What radiology practices must remember as they take on this urgent “shift” is that while great clinical skills get them to the table, great service keeps them there. For a hospital and radiology practice to be symbiotic, both must realize that there are collaborative efforts they can put forth to assist the other. For the hospital, it is analyzing the financial and operational aspects of the radiology practice, such as recruitment and joint venture opportunities, while also keeping an open mind on paying for some of its services. An in-depth understanding of the market in its region and leveraging the expertise of the radiology medical director are critical facets of the hospital’s perspective in the relationship. Importantly, addressing turf battles will abate any conflicts from the beginning, allowing the hospital and the practice to move forward harmoniously. The radiology group can strategically build its relationship with the hospital by first adding market value where it is needed. Performing clinical integration and reporting the value therein is a great first step, while also striving to meet the customer-focused service the hospital demands. Meeting the needs of specialists and generalists is also a way that radiologists can build relationships outside of the hospital’s leadership, helping them to develop a greater network communications strategy and gain market leadership. Once a practice has firmly established that it is willing to help the hospital meet its needs, it must also focus on its own growth and diversify with effective outpatient and system strategies. Using service execution, finding new sources of revenue, and growing its distributed reading business are a few ways it can do so. Aligning with the hospital is also crucial to its growth, especially in the planning of physician management and recruitment efforts. Most important is that a practice should always plan for financial security and any risks/losses associated therein. Stress customer service as a standard, 24/7. Boost productivity and validate the performance with metrics. Accelerate and improve accounts receivable performance. Enter into contracts with realistic industry expectations and develop payor strategies. Soundly run businesses that can operate in an independent manner will garner hospital respect and admiration from the start. The bottom line is that for an ideal hospital relationship to emerge with a radiology practice, a combination of service, trust, financial viability, and common goals must be shared.